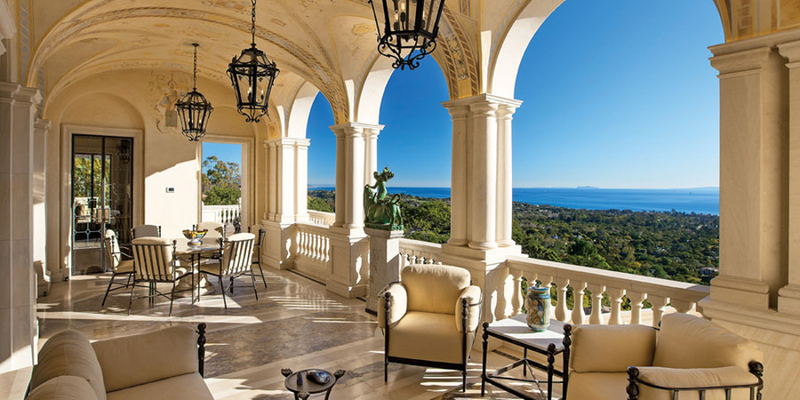 Architect Tom Henson worked with his mentor and friend Peter Becker on this Montecito estate. Tom Henson worked alongside architect Peter Becker for 15 years, collaborating on dozens of projects, from small additions and remodels to extensive renovations and all-new estate homes, like the one pictured. Becker passed away in 2016, leaving his firm — Becker Henson Niksto Architects — in the able hands of Henson and Jacob Niksto, who work out of downtown Santa Barbara’s historic Flying A Studio. As you’ll read below, childhood playthings planted the design seed very early on, and Henson’s scholarly pursuits sent him to Cal Poly San Luis Obispo for a double major in structural engineering and architecture, which turned out to be highly complementary skill sets in Santa Barbara’s high-end realm of homebuilding. You’ll also read about his creative zone of happiness and where he ranks his friend and mentor Peter Becker, a man with whom he spent 15 “of the happiest, most fulfilling years of my life,” he said. What drew you to architecture and design early on? I’ve been excited about architecture and design for as long as I can remember. I think it started with Lincoln Logs in kindergarten. What has been your favorite architectural field trip or vacation? A trip to Biltmore Estate in Asheville, North Carolina. The Newport Mansions in Rhode Island would be a close second. What is your favorite public building in Santa Barbara? The Santa Barbara Courthouse. It’s beautiful and substantial, but still joyful and whimsical in places. What do you most like about your job? The euphoria that comes from persevering until the “perfect design” emerges from what at first seems an insurmountable collection of regulatory, structural, budgetary, and other constraints. What do you most dislike about your job? Seeing a project compromised by certain codes and regulations that were created with good intentions but in the end do more harm than good. Go back and pick another profession. Probably landscape architecture. It’s the same idea as architecture, but turned inside-out and with living building blocks. What is your current state of mind? Determined, happy, sometimes frenetic. What is your idea of perfect happiness? I’m happiest when I’m “in the zone” creating beautiful things, preferably in a team effort. What is your greatest fear? Losing my abilities. What is your greatest extravagance? My (entry-level) BMW. What do you consider the most overrated virtue? Moderation. It’s better to strive for excellence. Which talent would you most like to have? Ease of public speaking. If you could change one thing about yourself, what would it be? More equanimity. What do you consider your greatest achievement? My work. What is your most treasured possession? My home. What do you most value in your friends? Strong character and drive toward excellence, paired with humility. Who is your favorite fictional character? Jean-Luc Picard [captain of the starship USS Enterprise-D]. Who are your heroes in real life? Peter Becker.